As said, ''This home has the best layout to bring my family and friends together, relaxing on the deck while others play and enjoy the pool. Just Unbelievable.'' Let's start out onto the back deck overlooking a fully fenced-in back yard with a heated in-ground pool and play area and a private outdoor shower. 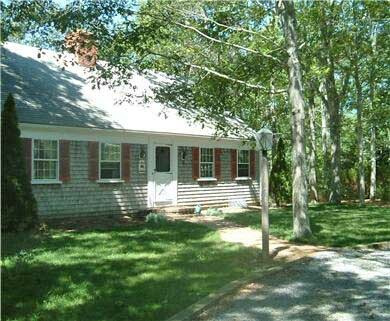 It's also just 1.6 miles to the well known Nauset Beach. As a bonus, this home also has extra parking for your boat and trailer and is centrally located just minutes away from several public boat ramps that access the ocean and bay beaches that Orleans has to offer. 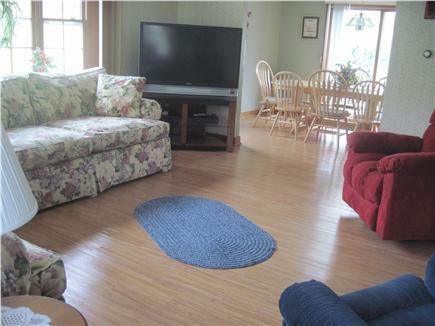 There is a large living room with a large overstuffed couch and several chairs that can easily accommodate your family. New floors installed in living room, dining room and kitchen also trim and windows have a fresh coat of urethane. A cabled HD TV. There is DSL wireless broadband internet throughout the house. The dining room is open to the living room with direct access to the kitchen and a sliding door that opens to an oversize outside deck with extra seating along with a barbecue grill. 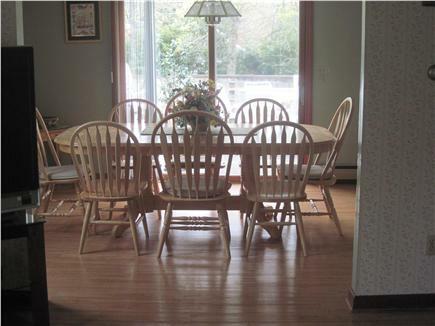 Both the dining room table and outside deck table can seat 8 people. 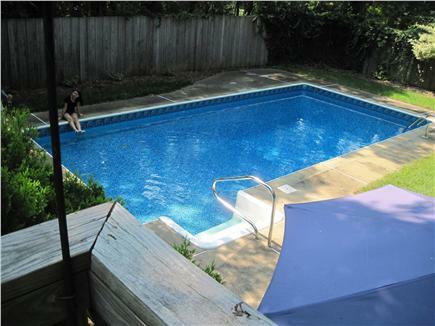 The elevated outside deck overlooks the backyard and a 32 foot X 16 foot heated in-ground swimming pool and large pool play and relax areas (slide has been removed). 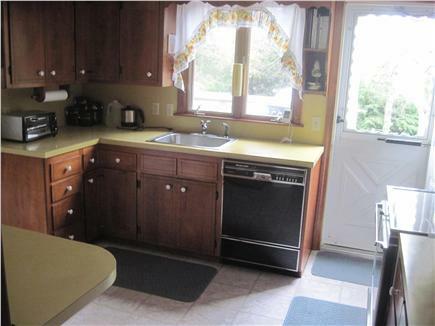 The large kitchen is fully furnished with ample room for many helpers. 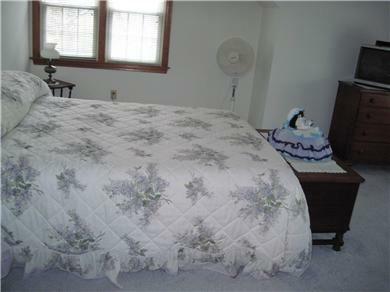 Also on the 1st floor is 1 bedroom with window A/C the bedroom has an oversize queen bed. Also on the first floor is the laundry room with a washer and dryer. 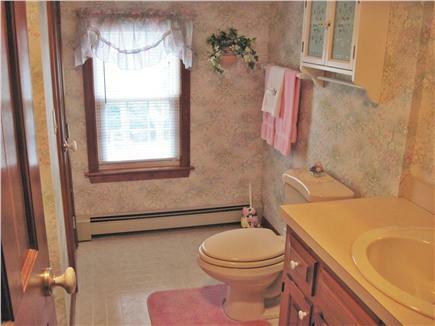 The 1st floor has a full size bathroom with a 5' tub/shower. 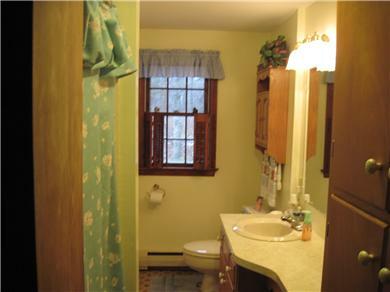 The 2nd floor offers 3 bedrooms and a full size bathroom with a tub/shower. The largest 2nd floor bedroom has a queen size bed. 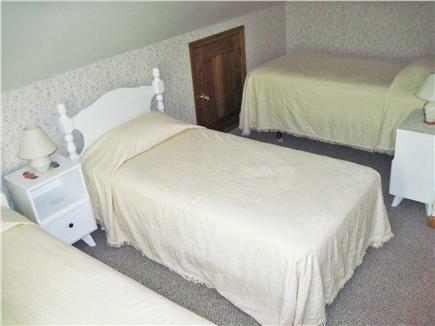 The second bedroom has 3 twin beds, 3rd bedroom has a daybed with a twin size pullout bed. 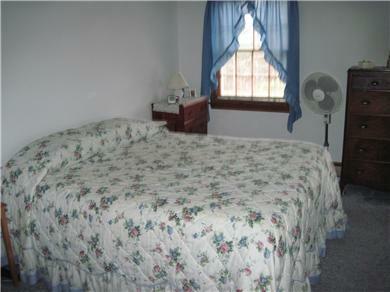 All bedrooms have window air conditioning units. 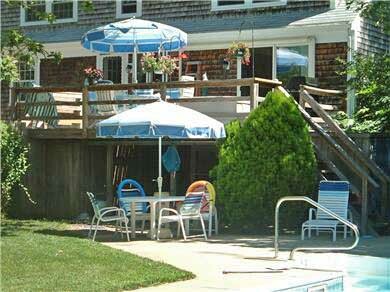 Please let this house help to build your memories for a very special summer vacation. The absolute maximum number of people using this rental is 8 people. This house is cleaned and maintained personally by the owners so that we can assure you of a cleaned and sanitized house upon your arrival. Any questions and/or to book your vacation please email using the Email button on this page or call the owner at 508-237-3213. "We're hooked! House and pool were immaculate. Great location. Barry and Georgie were very helpful and great to deal with all around. See you next year!!" House was a DREAM! Thank you so much for your hospitality. Our stay was absolutely perfect! We hope to return next year. Stay well and have a peaceful winter. "The pictures did not do the house justice! We were so happy when we opened the front door. Clean, Spacious, IMMACULATE and had every detail covered! The pool was wonderful after a long day at the beach. It's proximity to the beach, CC baseball and bike trail was awesome! The owner is great and answers his phone whenever you have a question! 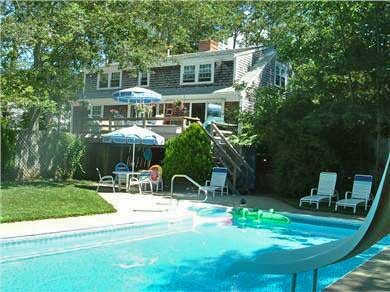 Great house, great neighborhood...great vacation!"